Conk installed in an SRT, the front rail is gently contoured. The front rail is gently contoured for 24 inches of its length, the total deflection is 1 inch, the aft rail is straight. Webbing is 1½-inch polypropylene. Width of webbed portion of seat is 20 inches. Average weight of an untrimmed seat made with ash and basswood is about 1lb. 12oz. 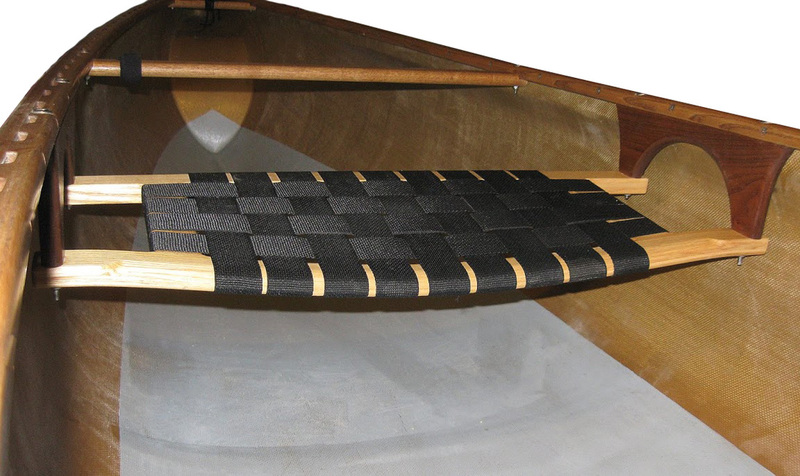 Trimmed for the average solo canoe weight should run close to 1½ lbs. The curved front rail improves buttocks comfort. The gradual contour and wide seat allow paddler to shift body off center. The straight aft rail maximizes pedal zone space for the kneeler. 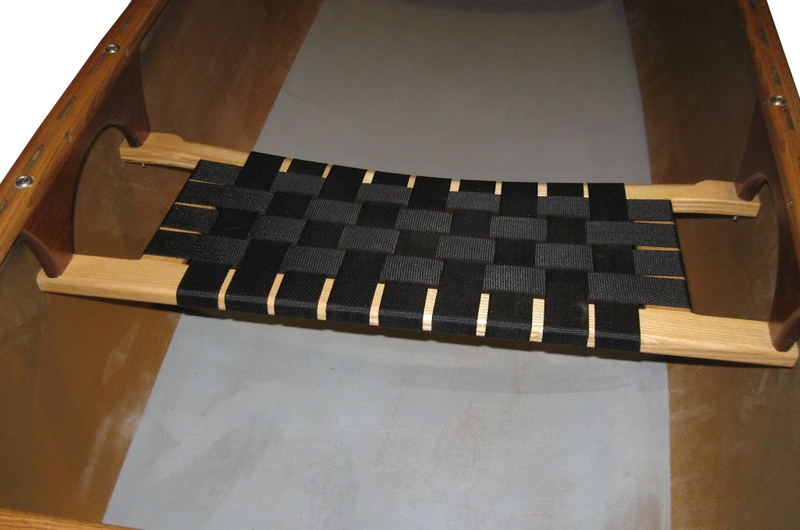 The seat is constructed of laminated cross rails made of a Ash with Basswood core layup. This allows for the most environmentally conscious use of woods and also gives a much more dimensionally stable and lighter seat rail than can be achieved using straight woods alone.